You may want to wait till baby is at least 8-9 months of age, and a bit more established on solids and textures, and when his or her digestive system is also more developed. 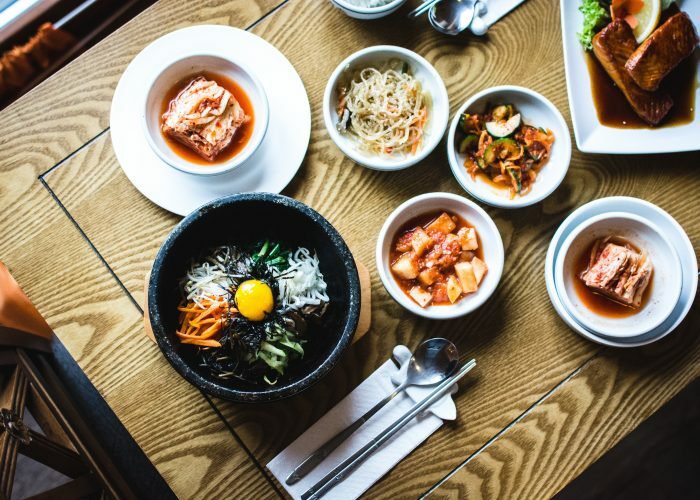 Try very small amounts of the kimchi mixed into other foods to make sure baby tolerates the spiciness and the preserved vegetable well first without any digestive problems like excessive gas or tummy aches. You may want to grind or blend it down at first, as baby may not have teeth yet and may not be able to handle a tougher texture. As you try small amounts over a few days, you can slowly increase the amounts given so that baby can get used to the taste and texture more as your baby ages. The general guideline is to try small amounts of a new food one at a time for a few days before moving onto introducing the next food. Kimchi can be prepared a few different ways, so avoid giving your baby any kimchi that has been preserved using a lot of salt. It seems that by 8-9 months of age, babies in general are more ready to try, and may even prefer, more flavored foods. So for those of you who don’t want to give kimchi but want to try other spices, starting at this time you can slowly begin to introduce more spices and salt-free flavorings to your baby’s food. My little one then didn’t even flinch when I gave her houmous spiced with cayenne pepper! So bring on basil, oregano, cinnamon, nutmeg, pepper, tarragon, paprika, dill, mint and other herbs and spices! Of course, you may want to try to still introduce one spice or herb at a time to your baby’s repertoire to watch for any possible signs and symptoms of allergic reactions.